An ambitious plan to buy the Cliftonville Lido and Clifton Baths site – excluding the Lido snooker club – and get its listed status upgraded has been taken on by a group of six friends. 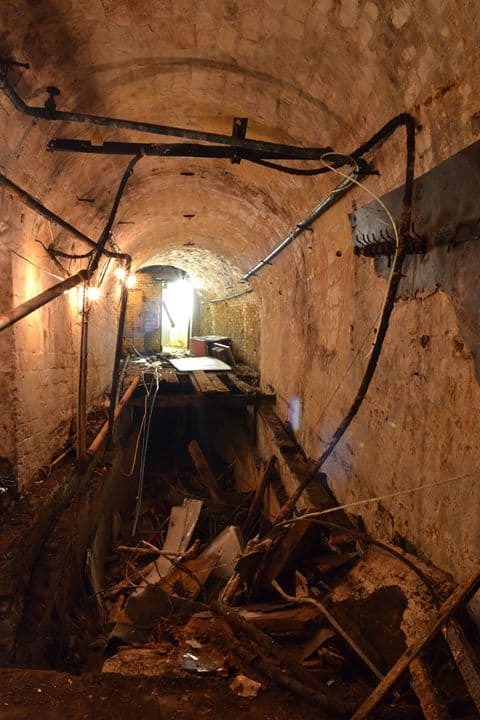 Led by Kent Underground explorer Lynton Owen the group are currently clearing the cavernous rooms, tunnels and spaces that run under the Ethelbert Terrace site in preparation for a structural survey and then laser scanning such as that carried out recently at Ramsgate Tunnels. 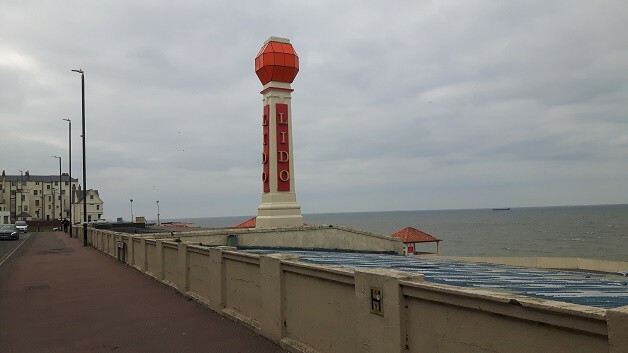 Margate resident Lynton, 34, has set up the Save The Margate Lido limited company and the aim is to convert to Community Interest Company status to access heritage funding and attract investors to help restore the Lido and baths to their former glory. The majority of the site is currently owned by Stour Side Investments. The firm had put forward a proposal for a sealife centre in 2014 but this never came to fruition. Then-director, Paul Eley later resigned from the company as did Alexander Andreev, who was listed as having ‘significant control.’ Current director is Anna Andreeva. In 2016 the Lido complex was put up for auction with a guide price of £600,000 but it was later withdrawn. Lido Streetview Limited, run by long-time Lido club manager Neville Borck and Martyn Buckley, bought the Lido snooker club site for £100,000 in February 2017. Last month it was announced that a successful bid by Thanet council to the Coastal Revival Fund had resulted in a £44,000 award which will be used to carry out an options study at the site. Lynton says his vision is spurred by a passion for the Lido site. He has worked various jobs at the site since childhood, from glass collecting as a 12-year-old to working at the various bars and now working with Neville and being the Lido licence holder. He said: “I have loved the building for years and decided to set up Save Margate Lido and take some action. 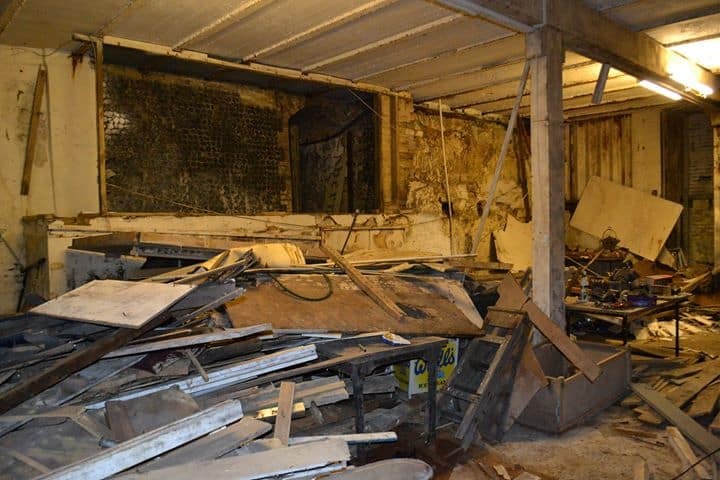 “I spoke to the council and the heritage officer Nick Dermott and we have spoken to Historic England who carried out an emergency site visit last week. Fellow enthusiast Adrian Handley, who owns Loaded Creative Studios, said: “Going forward we will change from a limited company to a CIC so we can access heritage funding. We are also talking to people to come in and invest so we can acquire the site. 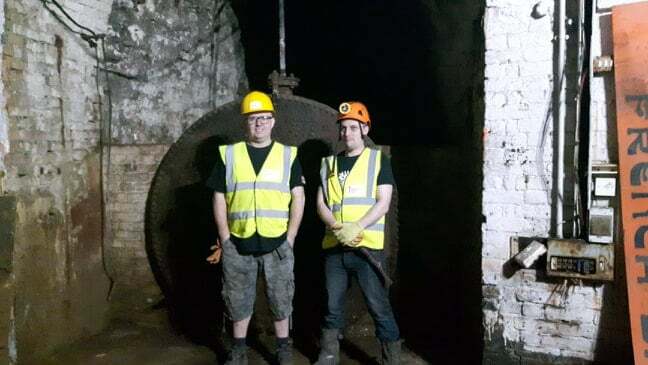 So far the group have cleared some 13 tonnes of waste, most from the Rotunda and the Grand Hall and from the former Echoes and Hades club spaces and the oldest part of the structure, dating back to 1824, consisting of tunnels and the plunge baths. The complex of buildings date over two periods – the early-C19 sea bathing site of the Clifton Baths; and the lido area, dating from 1926 and created by Dreamland entrepreneur John Henry Iles. 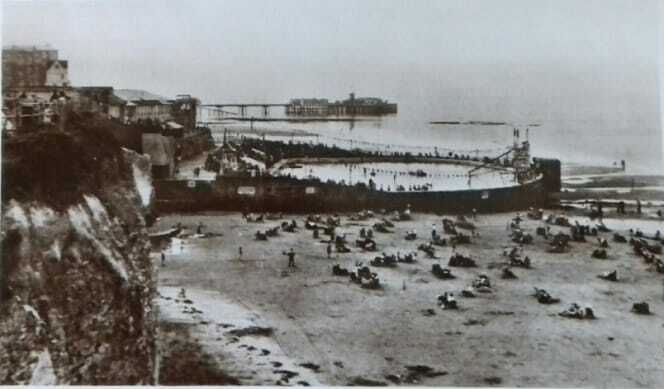 It was called the Cliftonville Lido from 1938. 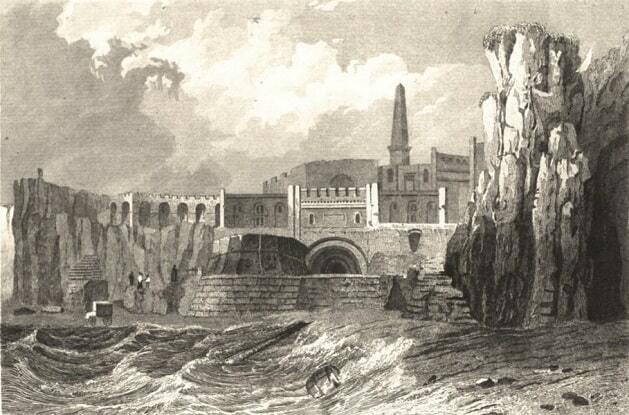 The Clifton Baths is the only known example of a sea bathing establishment which was dug out of the cliffs. The baths were constructed between 1824-28 by John Boys at a cost of £15,000. It was excavated from the chalk cliff northeast of the harbour. A large dome provided storage for 20 to 30 bathing machines which were brought down a curving tunnel to sea level when required. 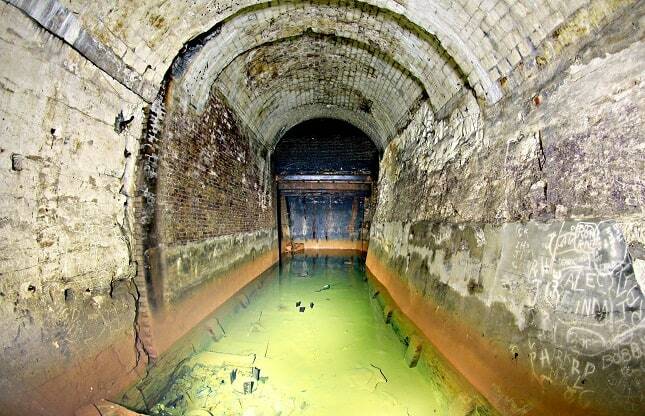 A tunnel also led to the Lower Reservoir used as a plunge bath for women and children. A horse pump forced sea water from the Lower Reservoir to the Upper Reservoir where it supplied the water for the hot baths, the power supplied by a horse gin in the open air. There was also a bathing room divided into two wings, the north for gentlemen and the south for ladies and an Upper Terrace with round-headed alcoves, seats and benches for enjoying the sea views. The lido was a semi-circular shaped pool which held 1000 bathers and could be emptied and filled every day with the ebb and flow of the tide. At the landward end it had an amphitheatre for 3000 people and adjoining promenades and cafes. It also had slides, diving boards and moored floats. The Cliff Bar was erected beside the sun terrace and could seat 1000 people with entertainment provided by orchestras on a circular stage. The Cafe Normandie was a large cafe where dances were held. It was destroyed by a great storm in 1953. 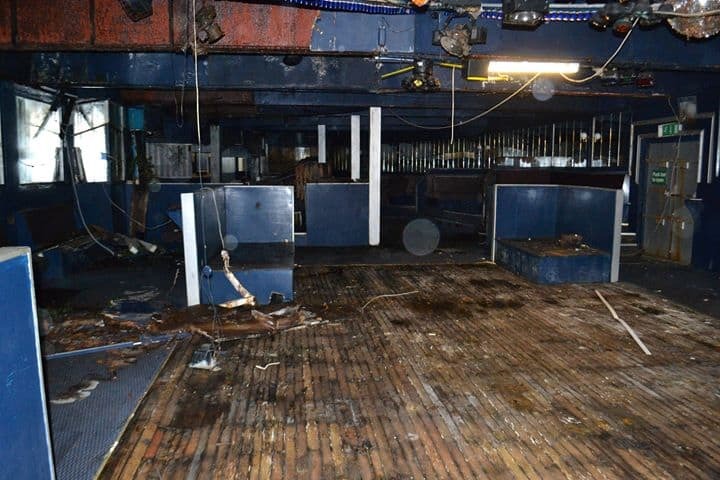 Various bars and clubs have had a home at the site including Seduction, the Golden Garter saloon, the Cavern, the Jamaica Bar, Hades and Echoes which was the last to shut in the 2000s. The open air pool closed in 1977/78 and was filled in with sand. The structures are on four levels, the lower levels excavated from the chalk cliffs and only the upper level, on the landward side, above ground level. 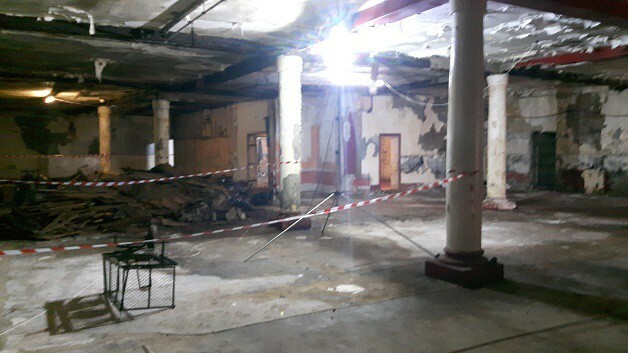 The baths were Grade II listed in 2008 but Save Margate Lido hopes to have this changed to Grade I and to have a Grade II listing on a wider area of the site. Proposals by save Margate Lido include renovation for community use and the possible introduction of new tourist businesses. The group’s efforts have attracted a lot of interest in the three weeks since they launched their facebook page. A Skips have helped with trade price clearance, Thanet council have been able to offer £2,000 support for the work and people from all over the world have been in contact via social media. Further meetings with Thanet council and Historic England are due to take place in the coming weeks. Save Margate Lido are posting regular updates, with videos and photos of finds including old signs, and they will be launching a diary and a newsletter. SOURCES: Peter Seary, “The Cliftonville Lido, formerly the Clifton Baths, Margate”. A Canterbury Archaeological Trust Report of October 2007. Allan Brodie and Gary Winter, “England’s Seaside Resorts”. English Heritage (2007) . English Heritage, “Margate’s Seaside Heritage” (2007) Janet Smith, “Liquid Assets” English Heritage (2007). Nick Evans, “Dreamland Remembered” 2005 Edition and Margate Architecture blogspot. So thrilled to read this. I was a child of the fifties, teenager in 60s. I had a wonderful childhood in Margate. I used to go to the Lido most days in summer. We had a rubber band round our wrist with a key for the locker into which we had placed our lunch. I believe it was 9d a day.Such halcyon days, and a lovely sun tan!!! !